He’s been Madonna, Annie Lennox and Cole Porter to great acclaim. 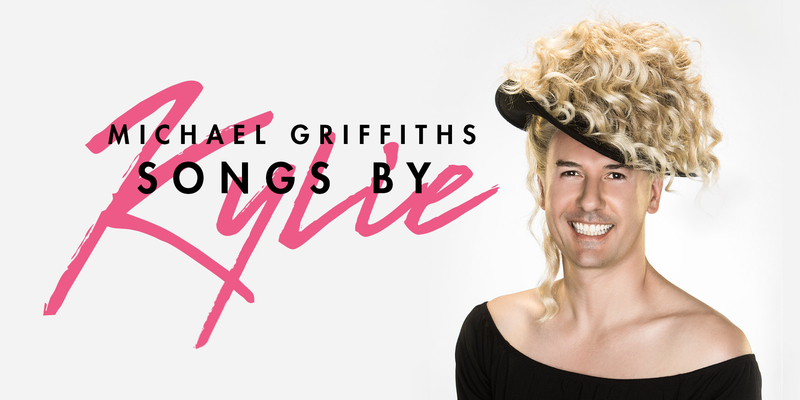 Now Helpmann award winner Michael Griffiths explores the songs, stories and locomotion of our very own pop princess, Kylie Minogue. Put your hand on your heart and step back in time, Kylie wouldn’t change a thing! Written and directed by Helpmann award winner Dean Bryant (Sweet Charity, Little Shop Of Horrors, Assassins).